As a Hofstra student, you will find more resources available to you than you might have ever known about. 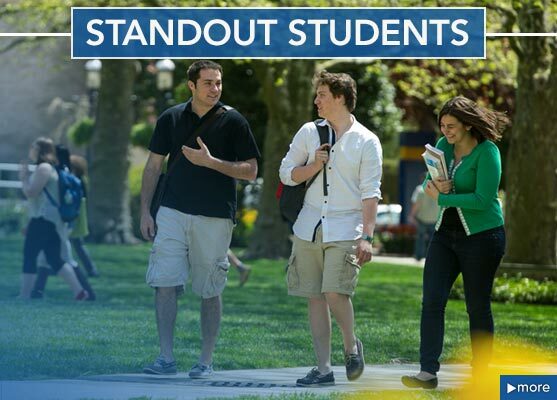 To help you discover more of our vibrant campus life, this page serves as a gateway to the online homes for the many services, activities and events that make life at Hofstra the special experience the University's alumni have enjoyed for years. Learn about the numerous student clubs and organizations available to you. Explore on-campus job opportunities at our Office of Student Employment, or visit our Career Center for off-campus employment opportunities and guidance on career objectives. Check out the menu to the left for countless other services offered at Hofstra, such as student counseling, new student support services, and the University tutorial program. Also, remember to make the University portal, MyHofstra, the home page on your computer. MyHofstra (http://my.hofstra.edu) provides access to personalized campus information as well as your academic records, directories, online research databases and much more. Visit daily, and you'll find all the information you need to get the most out of your education at Hofstra.